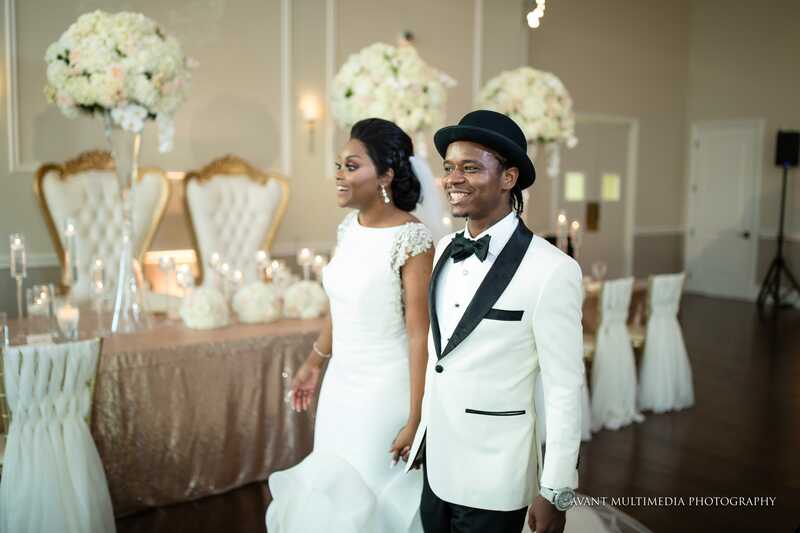 LaVeatrice and Demonta came to our Dallas wedding planner team wanting a romantic affair with a vintage glam twist. 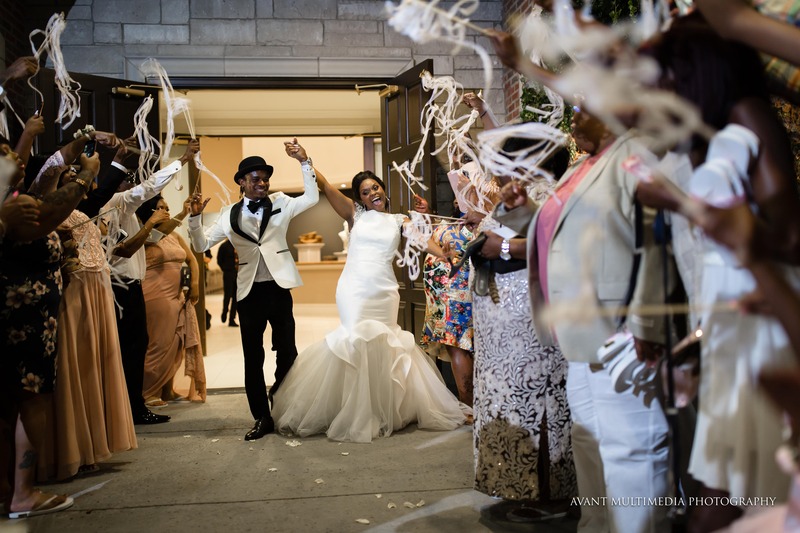 As you can see from the photos, this wedding was one for the books. 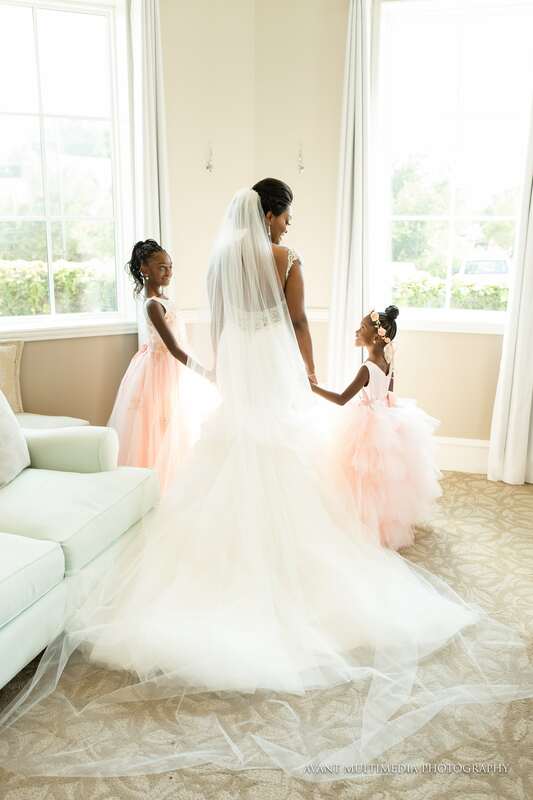 The ceremony and reception were held at The Windsor at Hebron Park in Carollton, TX. 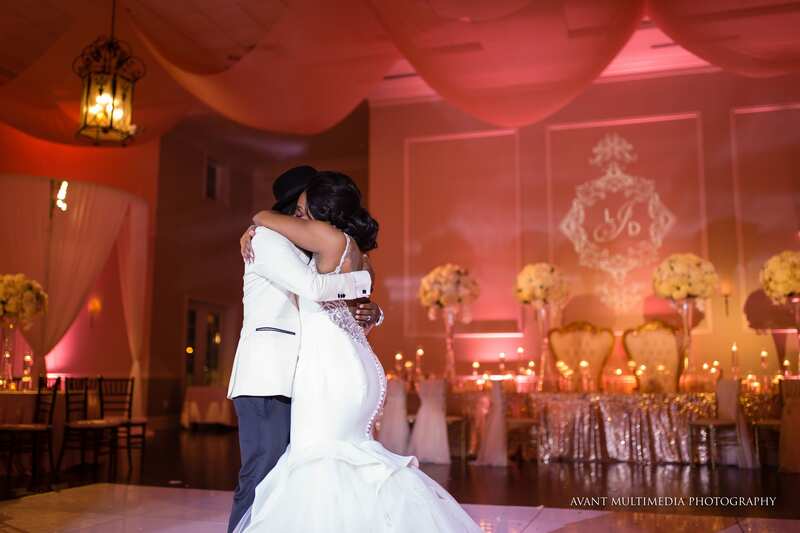 Our Dallas wedding planner team was apart of the planning from the beginning. 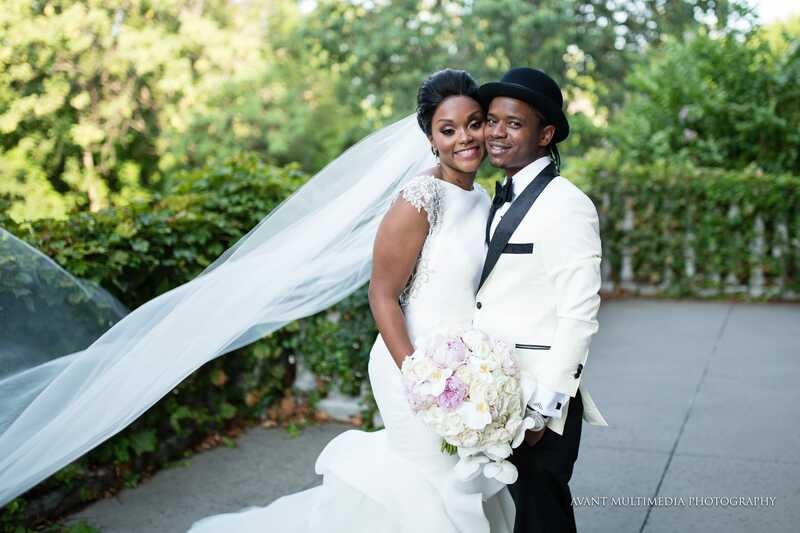 We were able to be with this couple from start to finish, and as wedding planners, we loved every moment! For the ceremony the couple wanted to keep it romantic and simple. As you can see from the gorgeous images, the venue was beautiful on it’s own. 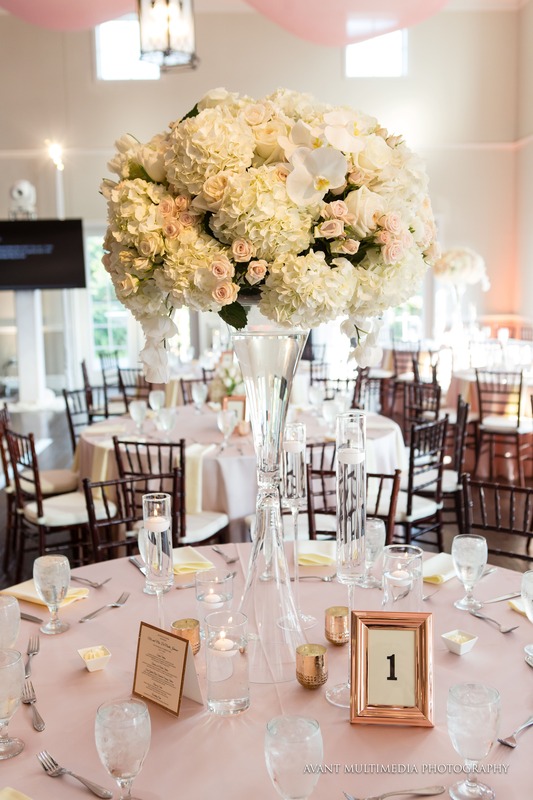 We simply added some lush floral throughout the ceremony space, adding to the romantic feel of the entire wedding. 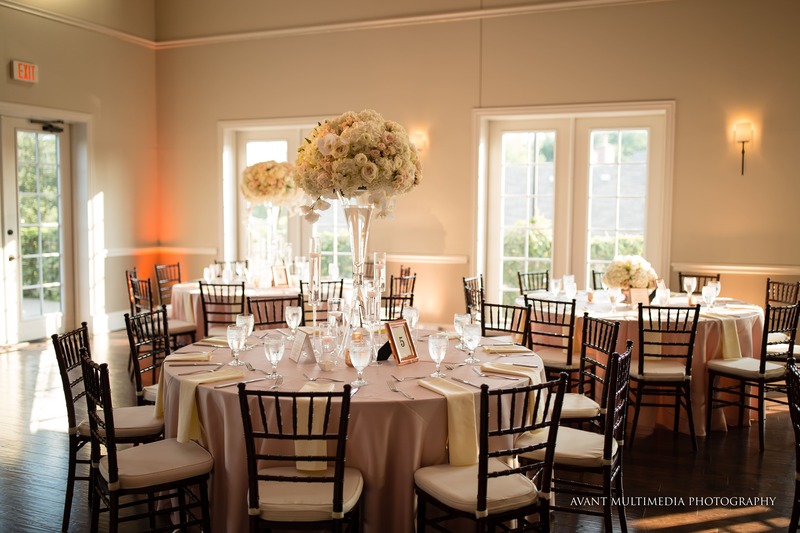 The reception kept the same romantic feel, with a touch of vintage glam. 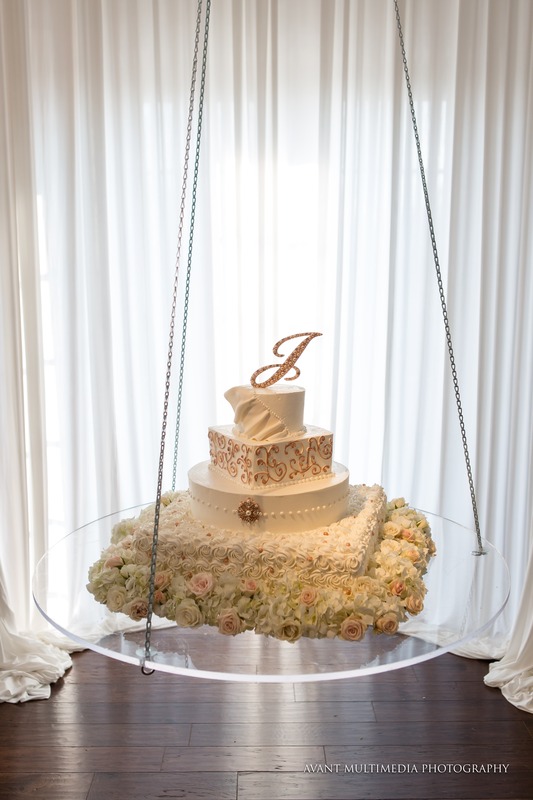 From the head table fit for a king and queen, to the suspended cake installation, our Dallas wedding planner team left no regal detail untouched. 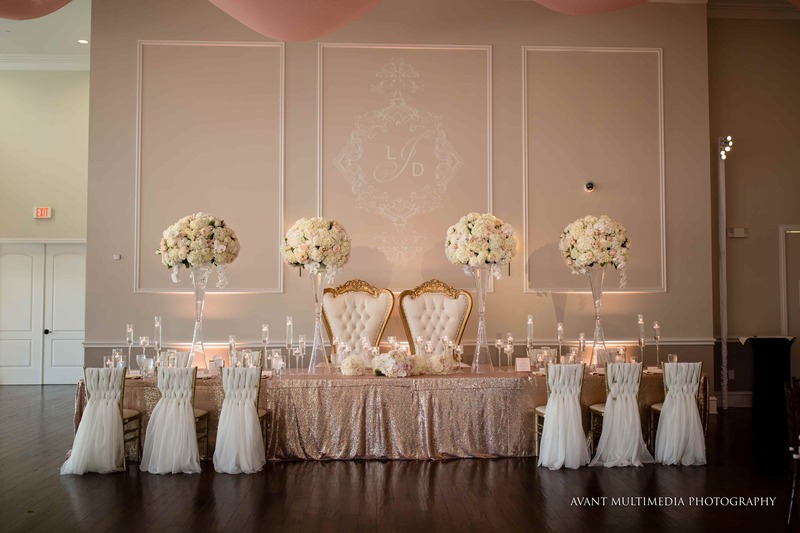 The beautiful thrones at the head table were a surprise from the bride to the groom, and he loved them! They danced the night away with their closest family and friends, while we worked our magic behind the scenes. At the end of the night they had their final dance, on a beautiful personalized dance floor, before their big exit in a sea of lace streamers. 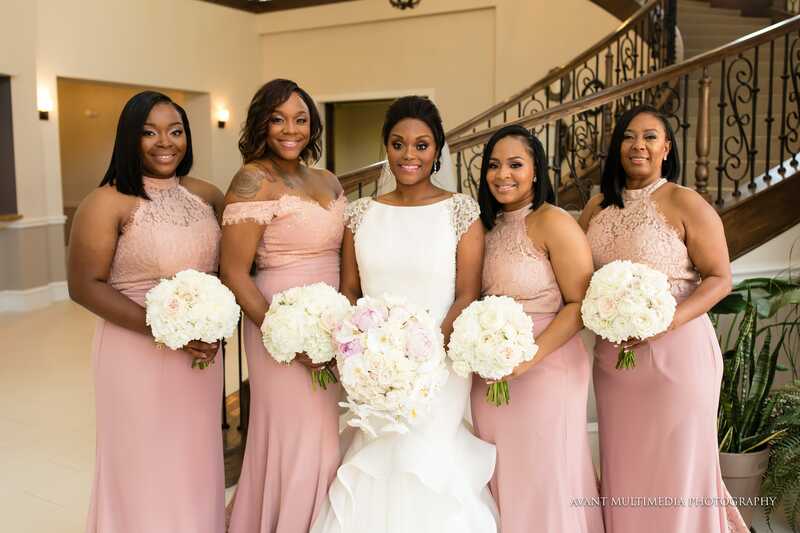 After months and months of planning with our Dallas wedding planner team, this beautiful couple had the wedding of their dreams, without the stress that typically comes with a wedding of this caliber. Congratulations LaVeatrice and Demonta!